The Peoples Democratic Party in Rivers State has called on President Goodluck Jonathan and the leadership of the party at the national level, who have committed themselves in the reconciliation process to beware of the likes of Rivers State Governor Chibuike Rotimi Amaechi who is only pretending to be part of the peace process but is busy consolidating his structure at home and funding the activities of the opposition parties. 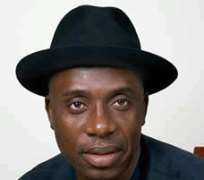 "Amaechi does not believe in the PDP peace process as his body and soul are made up that Jonathan must not be allowed to rule Nigeria after 2015 and the Northern governors who are pushing the anti Jonathan agenda are hanging on to Amaechi because of the money that Amaechi is contributing to their cause" the party said. In a statement today in Port Harcourt by Jerry Needam, Special Adviser on Media to the State Chairman, Bro Felix Obuah, the Party said Amaechi should have the boldness to pull out of the negotiations instead of deceiving and betraying the processes and the genuine intentions of Mr President and the PDP. The Party noted that each time Amaechi engaged in any peace talk in Abuja, he turned back to say and do a different thing and cast aspersion on Mr President, the party or the First Lady, recalling that just recently, after meeting with the President at the Airport in Port Harcourt, he ordered his loyalists to open a parallel party secretariat on the same day in Port Harcourt and then accused the President of using the Police to block him from entering Government House. 'This is an act of falsehood, betrayal, disloyalty, insubordination and blackmail', the party noted. The Party also cited the shameful incident at the National Assembly yesterday where Amaechi joined other governors from the North to demand that President Jonathan should not contest the 2015 presidential election, an issue which the parties had earlier agreed on last Sunday that it was the President's private affair. The State PDP said it is clear that Governor Amaechi has pitched his tent with the All Progressives Congress, APC, and the Peoples Democratic Movement, PDM, and is only making efforts to see if he could destroy the PDP before he actually leaves. 'We are concerned about the success of our great party and will not close our eyes and allow Governor Amaechi and his allies to destroy the Party and that is why we have said he should leave us alone', PDP said.